PLEASE NOTE: This pepper has never officially tested higher than the Carolina Reaper. To date, the Carolina Reaper is still the official Hottest Pepper in the World. I’m not 100% sure if Dragon’s Breath peppers even exist, but here’s what’s going around on the web about it. 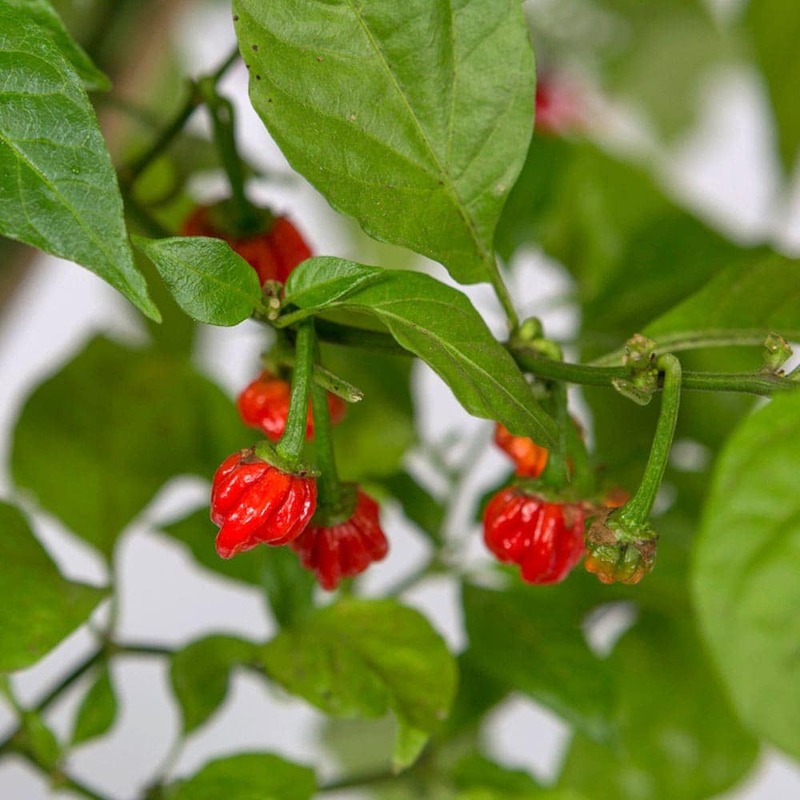 Grown by Mike Smith, a grower in St. Asaph in Denbighshire, The Dragon’s Breath pepper, named for the symbol of Wales – the Welsh dragon, has an unofficial reported top heat of 2.48 million Scoville units. Is that accurate? Without official testing, I’d take the information with a grain of salt. It has the potential to eclipse the Carolina Reaper (the current hottest pepper in the world according to the Guinness Book of World Records with an official top heat of 2.2 million Scoville units). An application to Guinness World Records is still awaiting confirmation that the Dragon’s Breath is the world’s hottest. The tests are not yet in, and it’s been over a year since rumors of this being hotter than the Reaper started appearing. Testing does not take that long, so I can only conclude that it has not tested higher than the Carolina Reaper. I’d love to know what it officially tested at (from a reputable institution), so I’d know where to place it on the list, but that information has proven impossible to find. Dragon’s Breath was “born out of a trial of new plant food developed by Nottingham Trent University which aims to increase the quality and resistance of plants,” according to the BBC. The Dragon’s Breath is currently not for commercial consumption. Instead, it was developed in part for consideration as a natural topical anesthetic for those allergic to typical anesthetics used by hospitals. How accurate is this information? If you notice any inaccuracies, or want to contribute additional info or photos, please feel free to contribute by contacting me. Please check your inbox for the link to download The Big List of Hot Peppers ebook!